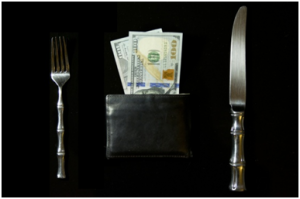 Is Your Business Hungry for Cash? | PC Ware Business Solutions, Inc.
Cash. It’s the lubricant every business needs to run smoothly, but there never seems to be enough of it. One of the quickest ways to to find cash for a cash hungry business is converting your Accounts Receivables into payments. By proactively contacting accounts owing you money and requesting payment, you can see significant improvements in liquidity. But getting this done takes some organization and preparation. Here are some tips to efficiently shorten you’re A/R time. Prioritize – Call the customers with the highest balances due for the longest time first. Then work your way down to the smallest, most recent balances due. Prepare – Before making a call, be sure to have all pertinent information at your fingertips to have a robust conversation. You’ll need the A/R customer’s name and phone number, a list of all open invoices and payments for each account that include Invoice date, invoice amount, amount due, discount amount if any, and days past due. You’ll also want to look at notes from past calls indicating when the call was made, the amount due at that time and what promises were made. Follow –up – After each call, set a date and time for the next call to follow up on promises made. Also, set a reminder for yourself. To make the process easier and more efficient, PC Ware has developed an Accounts Receivable/Collections module that works with Sage 300 ERP. It provides all the information necessary to prioritize, prepare for, and follow up on collection calls. If you need to find cash to feed your cash hungry business, call Zev for a demonstration of PC Ware’s Collections module today.